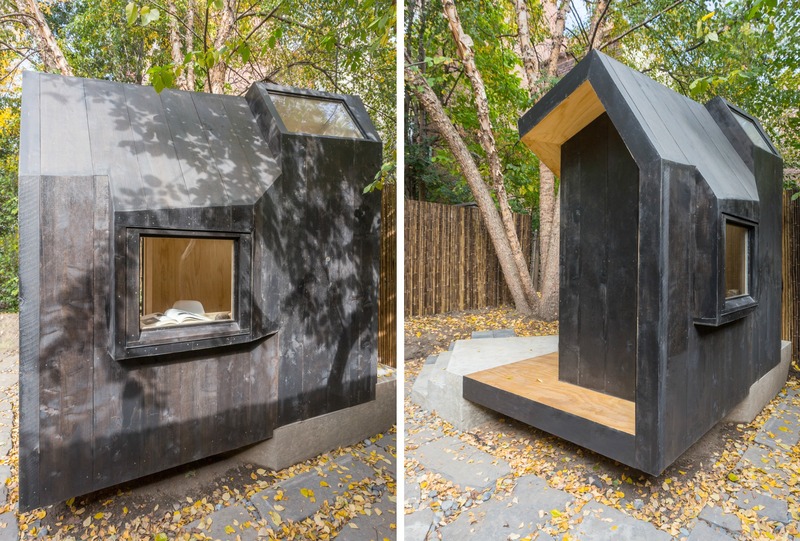 Most Brooklyn creatives head to the local cafe when they need to escape to get work done, but this lucky couple can retreat right to their backyard garden (h/t Inhabitat). 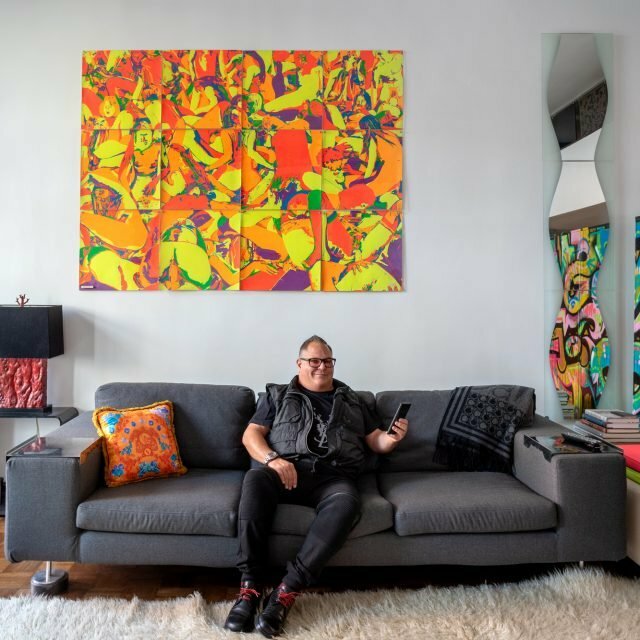 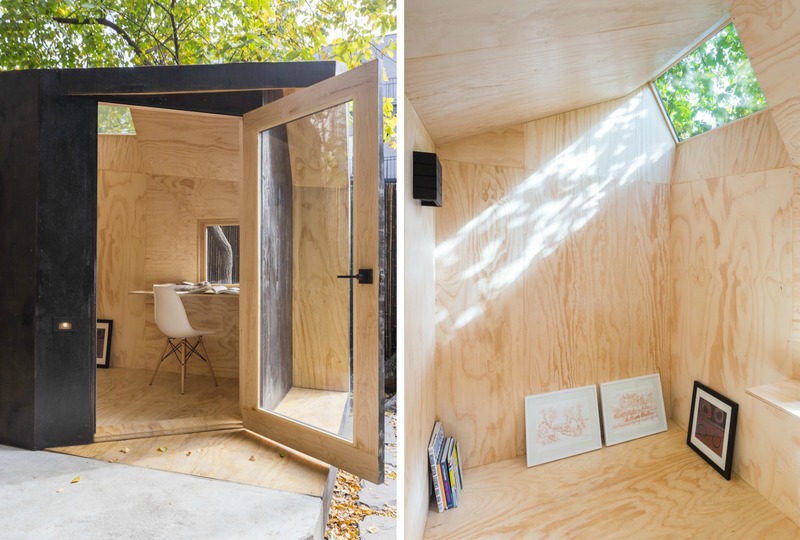 They enlisted local firm Architensions to design a space where they can find “a condition of isolation or immersive solitude” for writing and drawing. 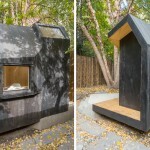 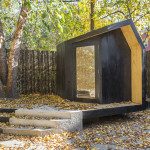 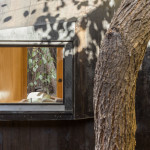 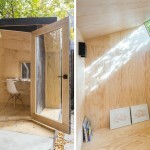 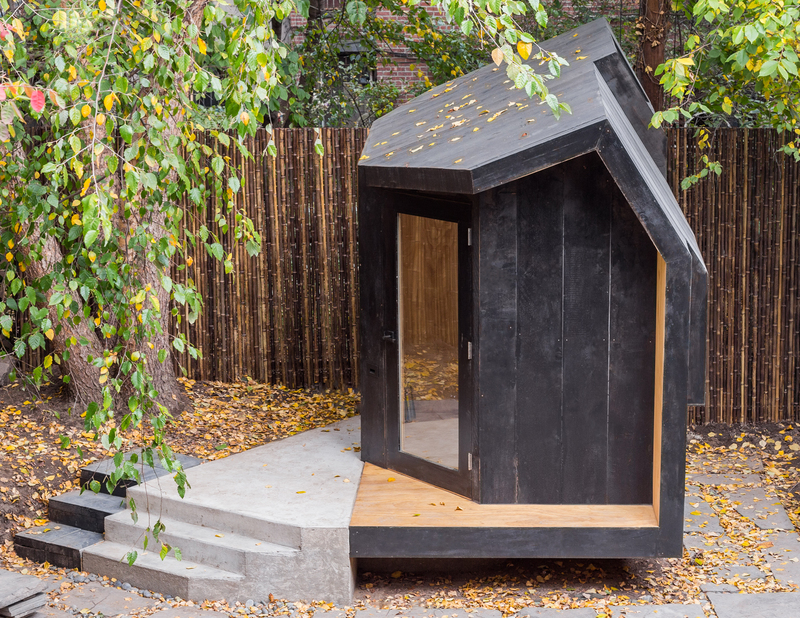 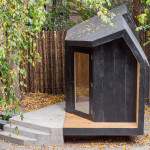 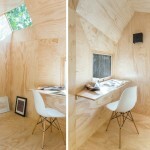 The result is the Writing Pavilion, a 50-square-foot wooden structure that is light-filled and serene, but purposefully simple and void of distractions. 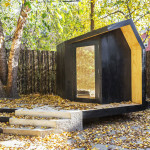 The Pavilion, clad in black stained cedar, is set on a concrete plinth, surrounded by a bamboo fence and a huge, sprawling tree. 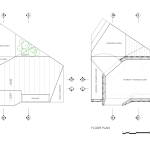 The sectional shape of the structure was conceived as a way to bring in natural light that “induces optimal conditions for the human eye.” The roof functions as a sloping light well, providing framed views of the trees and sky above, and the glass door looks onto the rest of the garden. 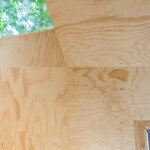 Inside, natural pine acts as a unifying element. 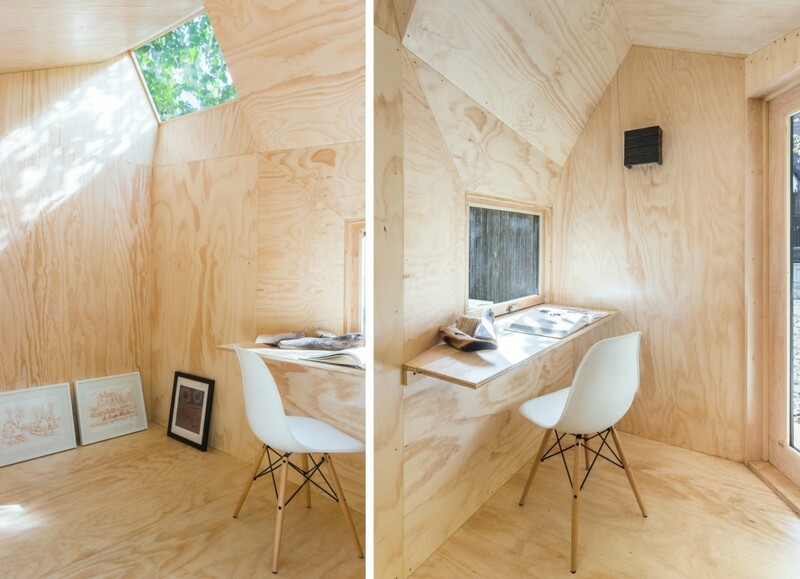 The only furniture is a chair with a folding writing table that sits below a petite window, but there are electrical outlets. 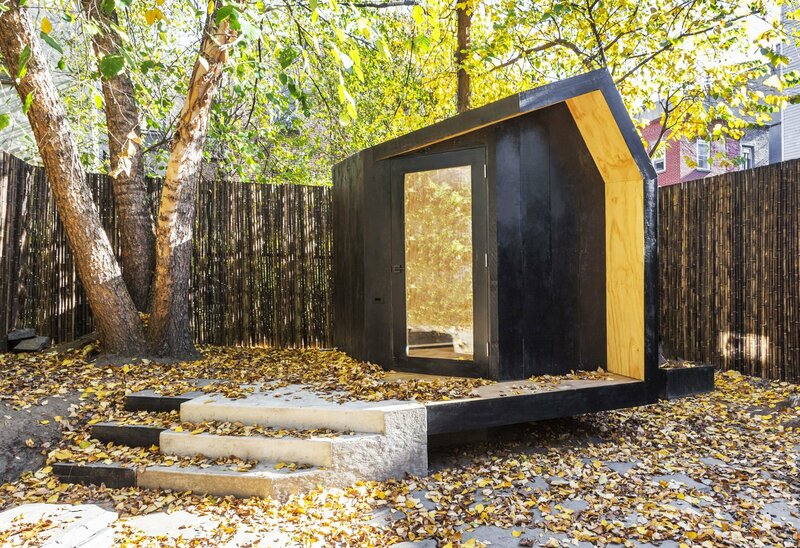 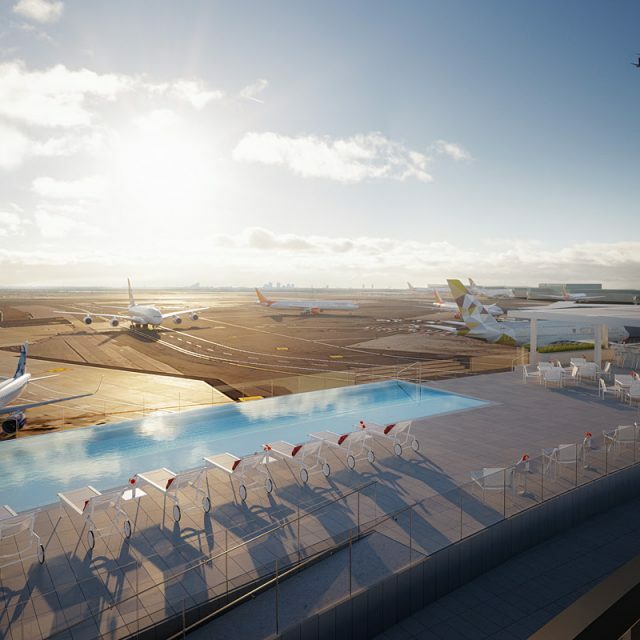 Explore more projects from Architensions on their website.